The South African leg of the tour promises to be great live music, with Jesse Clegg supporting the band. In support of their latest album Cage to Rattle, American rock group Daughtry will be returning to South Africa this week, performing in Cape Town on Thursday and Pretoria on Saturday. Supporting the band is Jesse Clegg, which will make for a great merger of rock music in the Mother City and the administrative capital. Frontman for the band Chris Daughtry has become one of the most visible torchbearers of rock music in the 21st century. Since rising to prominence on the fifth season of American Idol, he has released four albums, all of which reached the Billboard top 10 and have combined sales of over 8 million copies in the US. Daughtry’s self-titled debut was the best-selling album of 2007, which contained four top 20 hit singles, including the Grammy-nominated smash It’s Not Over. Leave This Town also reached number one in 2009, while 2011’s Break the Spell was certified gold. His group’s most recent album, 2013’s Baptized, featured the platinum-selling Waiting for Superman, which the singer points to as a turning point in his songwriting. The South African leg of the tour promises to be great live music. 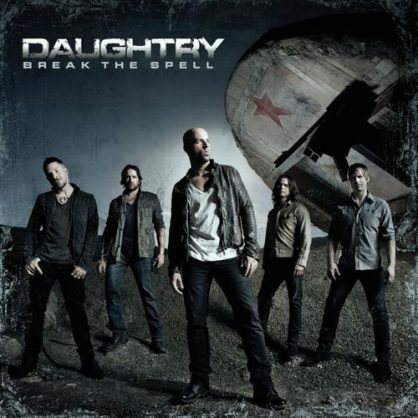 Ten years after launching, Daughtry claims that he and the band have grown and it’s altered his whole sense of his work. “When we first came out, I’d only known what I’d seen,” he says. “I didn’t know how to be vulnerable, with no pretence. “Now it’s walk on stage and, especially in our acoustic shows, just be flat-out honest and open.